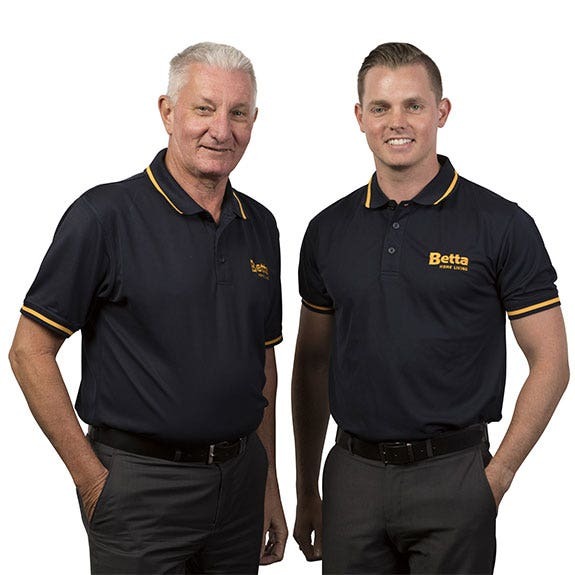 Rockhampton Betta Home Living offers exceptional local advice and can assist you with all your Fridge and Freezer, Kitchen and Cooking Appliance, BBQ, TV and Audio requirements. It is this local expertise that will give you that little extra piece of mind for your next electrical and home appliance purchase. – Go Local, That's Betta! Gary and Carmel Thomasson have been locals since 1960 and established a Betta store in North Rockhampton, because they love the friendly community of loyal locals. Betta Home Living Rockhampton is the home of all your big brands - Westinghouse, Kelvinator, LG, Fisher & Paykel, Dyson, Bose, Weber and much more! Thomo’s Betta store has been in operation since 1990 and offers support to numerous schools, charities and sporting clubs, including Capricorn Helicopter Rescue, Capricornia Enterprise Tourism, Rockhampton Jockey Club, North, Chargers Rugby League, North Rockhampton Bowls Club, Rockhampton Golf Club, Salvation Army Red Shield Appeal, CQ Amateur Race Club, CQ Veterans Golf Association, Rockhampton Girls Grammar Race Day, and Ronald McDonald House. Avid Brisbane Bronco’s supporters, Gary and Carmel enjoy dining at many local restaurants, such as Restaurant 98, Paccino’s, and The Edge Restaurant and Bar. Thomo's Betta offers Free door to door delivery for customers in the following Rockhampton areas: 4700,4701,4702,4711. (Note T's & C's Apply). Thomo's Betta Home Living also offers in-store finance with HSBC. Enjoy up to 60 months interest free* and interest-free* payment-deferred promotional purchases.